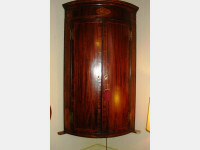 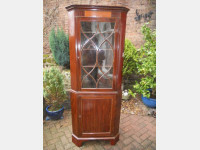 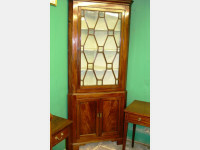 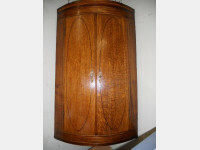 We have a selection of wall hanging and free-standing corner cupboards in mahogany and oak. 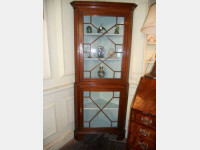 They are all 18th C and there is a choice of bow-fronted and flat-fronted and glazed- fronted. 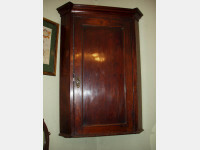 We also make battons for each individual cupboard which can be fixed to the wall to support the hanging cupboards.